Is there a better alternative to Sword of Fargoal Legends? Is Sword of Fargoal Legends really the best app in Adventure category? Will Sword of Fargoal Legends work good on macOS 10.13.4? Welcome to Sword of Fargoal Legends, the classic dungeon crawler adventure, now reimagined in a brand new adaptation for the Mac! 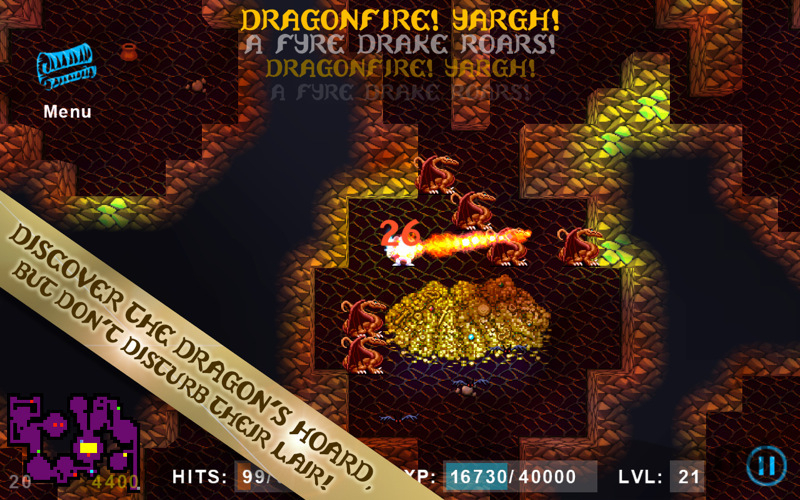 Explore the perilous dungeon in your attempt to rescue the Sword of Fargoal. It is said to be hidden deep on the 20th level and guarded by a host of monsters and other powerful foe, but you must avoid devilish traps, wrong turns, and other obstacles along your way. Once you find the Sword you must make it out alive before the walls begin to collapse around you! Fixed several user interface issues with wide-screen monitors. Fixed some more minor bugs. Sword of Fargoal Legends needs a review. Be the first to review this app and get the discussion started! You embark on a new quest each time you begin a new character! The entire dungeon is generated randomly each time, giving a satisfying, infinitely-replayable experience to both retro gamers and newcomers alike. Originally developed over 25 years ago for the C64 (and other classic Commodore computers) it is a perfect old school adventure with amazing new graphics, original music, and retro-inspired sounds. Completely randomly generated - different every time! Attempt to reclaim the Sword of Fargoal from the infamous 20th level of the dungeon. Along the way you gain experience points battling the terrifying creatures lurking in the depths of this treacherous dungeon, with a cunning array of magic spells and potions to help you when swords and brute force fail. Simple click- and pinch-zoom scaling lets you view an entire dungeon level or zoom in close to the action! New themed maps and episodic adventures are added via regular updates, including future in-app purchases such-as the original C64 version tiles! EXPLORE SWORD OF FARGOAL FURTHER Return to the dungeon in a brand new Mac adaptation of the classic retro adventure game!